Rimu Products is an independently owned Australian Business specialising in plant handling equipment for Nursery and Garden Industry Centres Australia wide. With loyal customers who purchased trolleys back in the 80's, we have built a reputation for manufacturing high quality products for Nurseries, Farms, and Industrial use. Our products are manufactured by us in Currumbin with ONLY Australian steel. We provide a wide range of standard trailers, which could also be customised for special requirements. 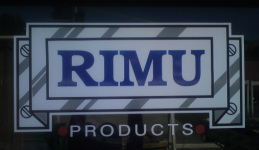 Rimu Products designs, engineers and manufactures its equipment to withstand the most demanding applications. We use only the highest quality materials to ensure that our products are the most reliable and long-lasting in the industry. Local pick up or Delivery via freight trucks can be arranged. No job is to big or to small. ​Phone today for a free quote.